In March this year, our mobile pet care unit, MADI, hit the road to offer low-cost cat desexing to owners who loved their cats, but couldn’t afford the cost of surgery. MADI (Microchipping, Adoption, Desexing, Information) aims to improve the well-being of pet cats and reduce the number of homeless animals being born on the streets or ending up in animal shelters. Five months down the track, our mobile vet team has desexed 467 cats and kittens in MADI. On a typical day, they desex 25 cats. 467 cats and kittens have been desexed in MADI, including 250 females and 217 males. 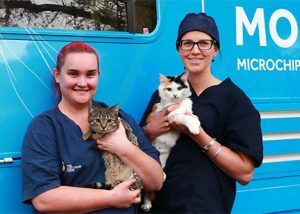 A free microchip was provided for nine in 10 cats (the remainder were already microchipped). 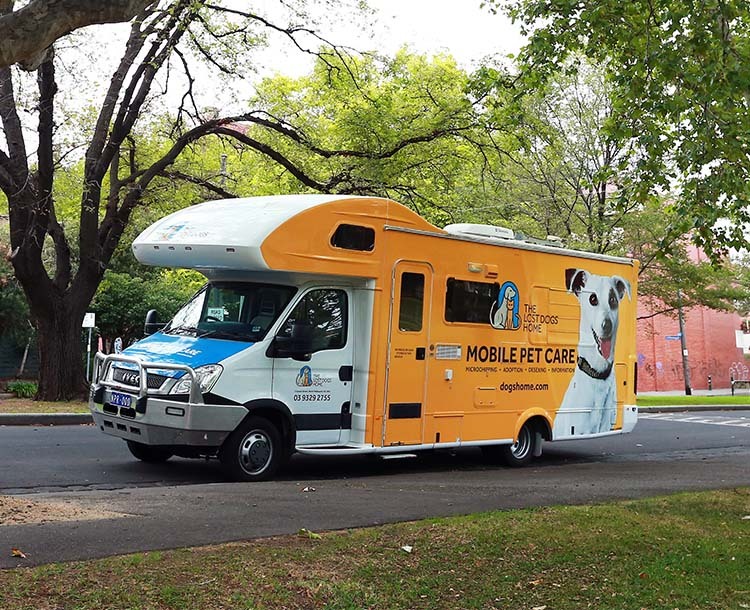 We’ve held 10 mobile desexing events across 23 days. MADI has visited six suburbs and towns, including Werribee, Broadmeadows, Reservoir, Cranbourne, North Melbourne and Echuca. 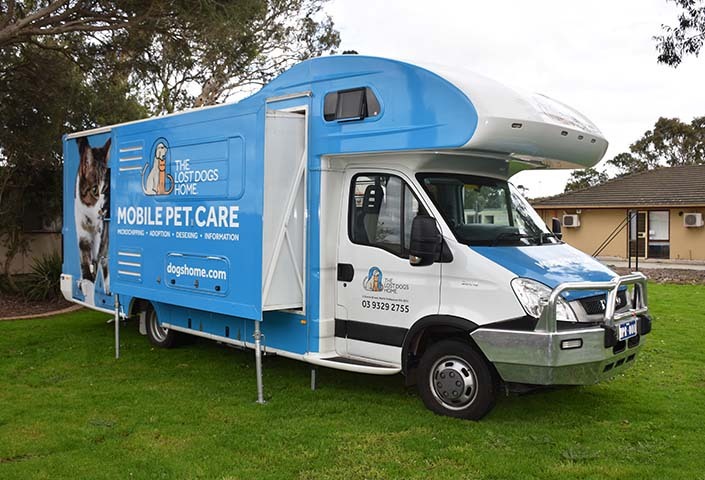 Four council partners have supported our desexing events in their communities, including Wyndham City Council, Hume City Council, City of Darebin and City of Casey. Allie, shelter nursing manager at the Home, has been involved with MADI right from the start, from consultation on MADI’s surgical fit-out to working on the ground at mobile desexing events. While the team is ready and waiting for a fast-paced and busy day, the atmosphere at these events is always extremely positive and supportive, because we know that what we are doing will have a positive long-term impact,” said Allie. “I love knowing that we are actively making a difference to improve the welfare of cats and kittens in local populations. Many people do not desex their pets due to cost or lack of knowledge behind why desexing is important – it has nothing to do with how much they love or care for their pet. Cat owners are really thankful that we have been able to provide them with the opportunity to desex their pet at such a low cost. Most of them have sought out desexing quotes from private clinics, but the cost has been outside of their budget. For Allie and our mobile vet team, approaching the milestone of 500 desexing surgeries in MADI has been very rewarding. “It makes the long, tiring days very much worth it. We spend our working lives caring for animals that are in need of homes. By helping to reduce the number of animals coming into the shelter, we are stopping the flow of lost, unowned, unwanted and abandoned pets,” said Allie. 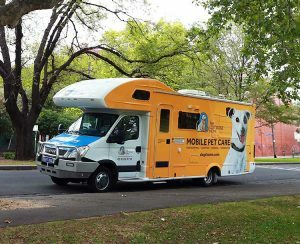 In July this year, MADI headed to Cranbourne for its first-ever mobile adoption event, where 22 cats and kittens found loving new families. MADI is only able get out into the community and make a real difference to cat welfare thanks to the generous support of our donors and council partners. Donate today to help keep MADI on the road.